In Print - japancontrolpanels Webseite! 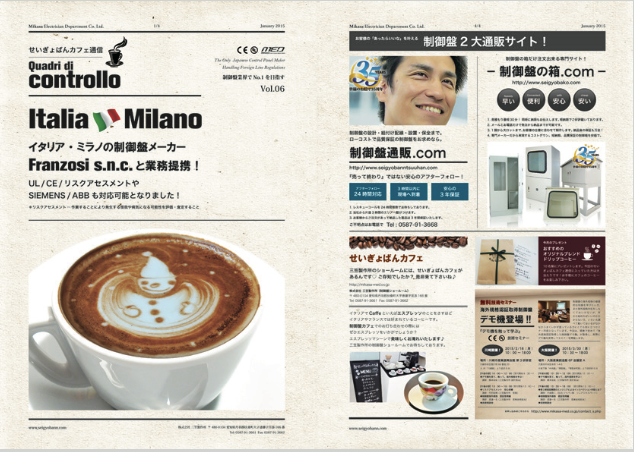 Our trade magazine Control Panel Café Dispatch is one of the most effective ways for getting your company exposure in the Japanese market. In Japan presentation is everything. This beautiful glossy magazine with high quality photos contains informative articles and catchy advertorials making products attractive to potential customers. Over the years Mikasa has cultivated a database of over 200,000 leads. Your company’s product will be featured in an issue of our trade magazine and distributed to specially targeted potential customers from our database.As an optional service we will analyze which of the leads from our database have the greatest potential use of your company’s products. 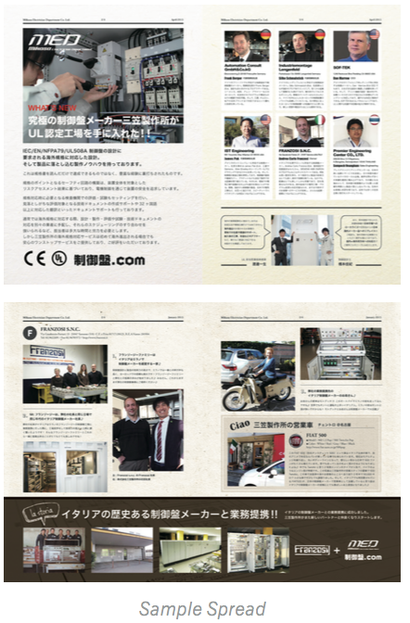 Magazines will be sent with your company’s catalogue as an insert to this specialized group of customers. We can add a detailed article about your company and PR on the back page.